Some of the most impressive numbers associated with Russell Wilson this season are ones that, quite frankly, the Seahawks would prefer weren’t so spectacular. For as long as Pete Carroll has been Seattle’s head coach, he has preached the importance of having a balanced offensive attack. But for a number of reasons, ranging from injuries at running back to injuries affecting offensive line continuity, Seattle has, through 11 games, not been able to run the ball very effectively other than when Wilson himself is scrambling. As a result, Wilson is not only the Seahawks’ leading rusher with 401 yards on 65 carries, he is also on pace to set career highs in passing yards, completions and attempts, and is at or near the pace of his career highs in both touchdowns and interceptions. It would be unfair to the rest of Seattle’s offense to call Wilson a one-man show. His pass catchers like Doug Baldwin, Jimmy Graham and Paul Richardson are all having great seasons, and Seattle’s pass protection is much improved, giving Wilson more time to operate. But because of the nature of the position, and because he runs the ball, a lot is on Wilson’s plate this season. Wilson has either thrown or run for 3,430 of Seattle’s 3,994 yards this season, which means he has been directly involved in 85.9 percent of Seattle’s offense. If he keeps up that pace, it would be the highest such number for a quarterback in the Super Bowl era according to the NFL Media Research Group. Wilson has also run or passed for all but one of Seattle’s 27 offensive touchdowns this season—J.D. McKissic’s has Seattle’s only rushing touchdown other than Wilson’s three—meaning he has been involved in 96.3 percent of Seattle’s offensive touchdowns, again the highest percentage in the Super Bowl era. Of course, ideally Carroll would love to see those aforementioned percentages come down over the next five games, not because he wants Wilson’s production to decrease, but because he hopes the Seahawks can find more of a running game as the season winds down. In the meantime, however, Carroll isn’t of the belief that what Wilson is currently doing is impossible to sustain, because while Wilson is accounting for a lot of the rushing yardage, he very rarely allows himself to get hit hard when he runs. As a defensive-minded coach, Carroll is well aware of how much Wilson can stress an opposing defense. And Wilson’s play certainly has the attention of this week’s opponent, the Philadelphia Eagles. Because of how well Wilson is playing and because of how much of Seattle’s offense he has accounted for this year, his name is being mentioned along with the likes of Philadelphia’s Carson Wentz and New England’s Tom Brady as a legitimate MVP candidate. Like anyone who strives to be great, Wilson would love to add an MVP award to his trophy case, but as of now, his main focus is on winning any way possible, which right now means making plays with his arm and his legs. 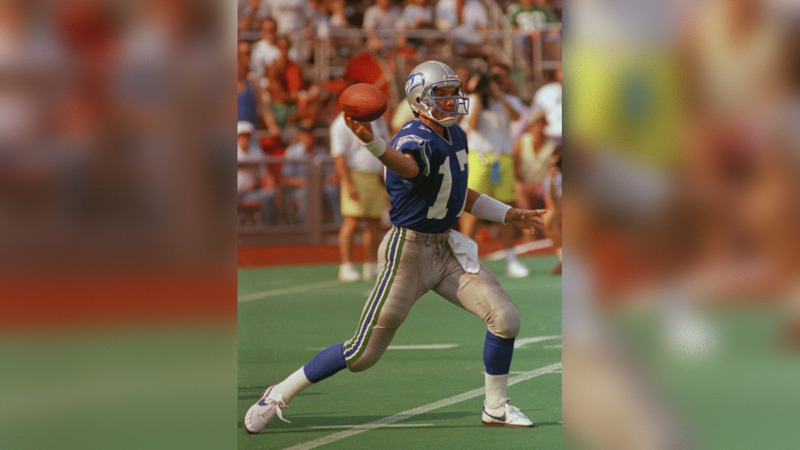 Take a look back through history at the Seahawks' matchups against the 49ers as the two teams ready to face off for Sunday Night Football during Week 13 at CenturyLink Field.